So after years of struggling to find time to complete diaries, fill in next steps, complete observations, re-evaluate activities, log development, track the EYFS, update the ILD and generally complete paperwork (sometimes it felt just for the sake of it). 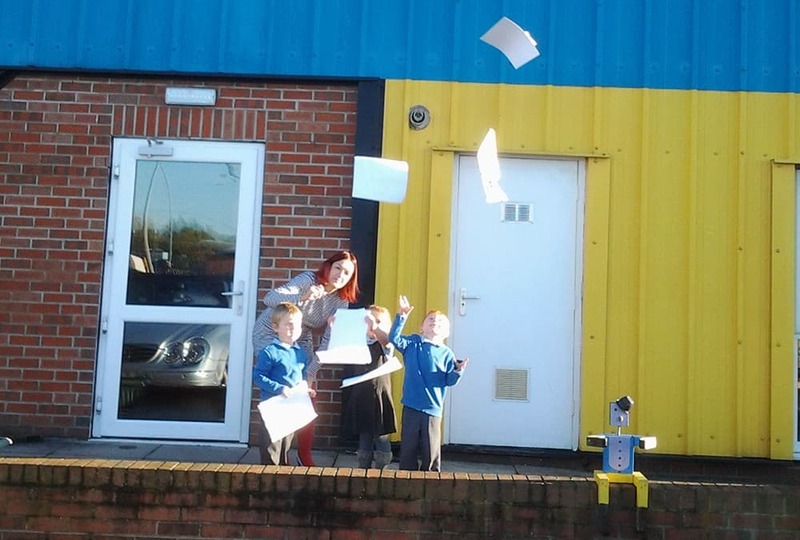 Blue Sky Day Nursery in Market Weighton has taken the bold step to scrap all the ‘unnecessary’ paperwork that has been bogging down their nursery team. Owner Vivienne Pooleman has bravely made this unusual decision after watching the stack of paperwork expected of nursery nurses build to an insurmountable level since opening the nursery in 2005. The nursery team will now be using the ‘in the moment planning’ method advocated by Anna Ephgrave, a deputy head teacher, consultant and author. Blue Sky Day Nursery has a team of over 20 nursery workers who all struggled to fit the demand of paperwork into the routine of the children’s day. The team were concerned that the time dedicated to filling in the required paperwork was taking them away from their passion for engaging the children with activities and helping the children learn and develop through play. All the team at Blue Sky have a deep love for the children which, nursery owner, Vivienne says makes them second to none and the care and education of the children should not take second place to paperwork. Vivienne went on to express her understanding and firm belief that children learn better through play activities, that if the team are enjoying the activity the children will also enjoy it and therefore learn more from it. Vivienne said that the children need the team to spend their time with them to make them feel valued and secure as individuals and that her team had such sound keyworker knowledge of their children that the extra paperwork would be ‘shelved’ for a trial period. Nursery manager Beverley McAllister, who has over 35 years childcare experience, is on hand to ensure that the nursery stays compliant to regulations and that of course the compulsory paperwork is still completed, but streamlining it in this fashion has reduced it to an exciting and much more manageable level. Vivienne explained that parents will continue to see their child’s key worker at the beginning and end of the day for information exchange and updates and that there would still be snap shots and photos for the parents to enjoy on their facebook and web pages. The nursery which is registered to take 108 children under 11 years old has been running successfully with an Ofsted grading of good since opened by Vivienne when she needed childcare for her own daughter in 2005. Vivienne stated that “she wanted to return the focus to what she had envisioned when she opened, to the children learning through play,” which, Vivienne explained, is a psychological term to describe how the children can make sense of the world around them, developing cognitively, emotionally and socially through experiences and their environment. She stressed that she wanted the children to play and have fun as by doing this they would be learning. Blue Sky Day Nursery’s promise is and always has been to “care for the children as we would our own” this according to the Blue Sky team does not involve doing hours of paperwork but does involve loving and caring for the children, having fun, laughing and learning in a fun, secure environment that encourages natural development and where the children’s happiness comes first.